Amira features a palette of Caviar Black, Bright White and pops of Blush Pink in feminine twist to the timeless leopard print. 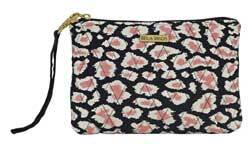 This is for the Wristlet Pouch. 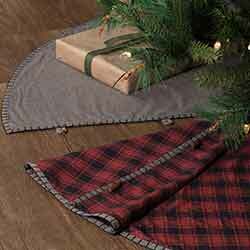 Go for an urban holiday look under the tree this year with the Amory 48 inch Tree Skirt. 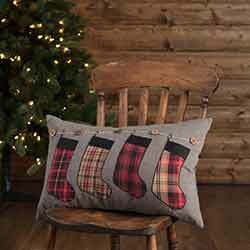 Ivory, brick red and black come together on a fresh plaid cotton. 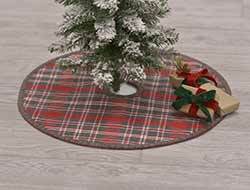 Go for an urban holiday look under the tree this year with the Amory 55 inch Tree Skirt. 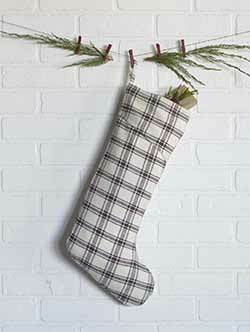 Ivory, brick red and black come together on a fresh plaid cotton. 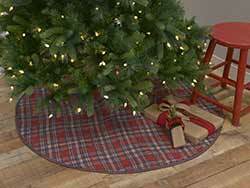 Go for an urban holiday look under the tree this year with the Amory 60 inch Tree Skirt. 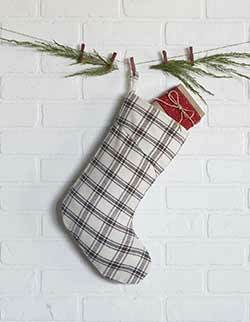 Ivory, brick red and black come together on a fresh plaid cotton. 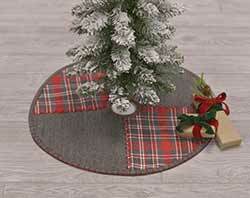 Go for an urban holiday look under the tree this year with the Amory Mini Tree Skirt. 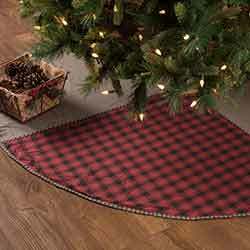 Ivory, brick red and black come together on a fresh plaid cotton. 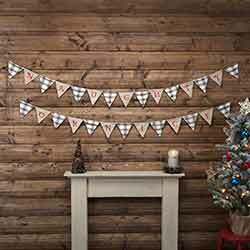 Add a display of holiday fun with the 10ft Amory Naughty Or Nice Banner Set of 2. 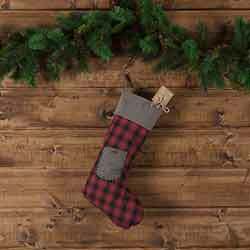 Amory features khaki chambray pendants with brick red-embroidered Naughty on the first banner and Or Nice on the second. 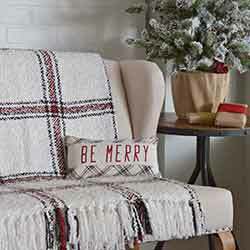 Cozy up with the Amory Woven Acrylic Throw 60x50 on chilly days. 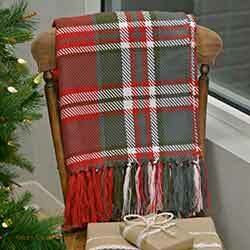 Featuring soft acrylic yarn with an ivory, cherry red, and black large-scale plaid. 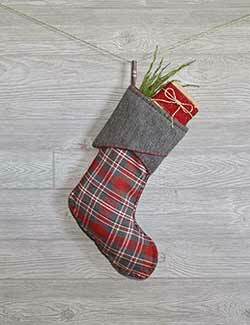 With the Amory 15 inch Stocking with Pocket, we take the basic stocking and bring it further along with fun embellishments. 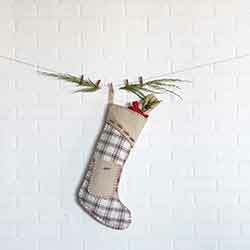 Enjoy the festive red whip stitching and the usable pocket, all on a soft ivory, brick red, and black plaid cotton. 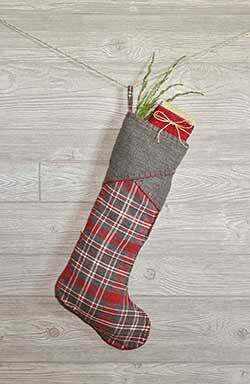 With the Amory 20 inch Stocking with Pocket, we take the basic stocking and bring it further along with fun embellishments. 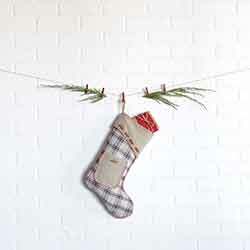 Enjoy the festive red whip stitching and the usable pocket, all on a soft ivory, brick red, and black plaid cotton. 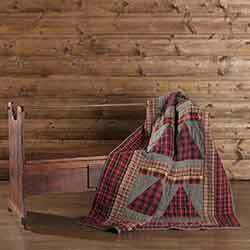 Great for accentuating a room or warming up on a snowy day, the Anderson Woven Throw 60x50 is ready for both. 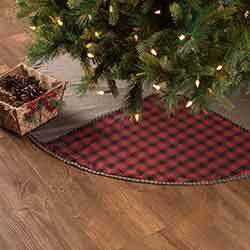 The Andes Tree Skirt features alternating grey chambray and red buffalo checks to give this tree skirt holiday-inspired rustic overtones. 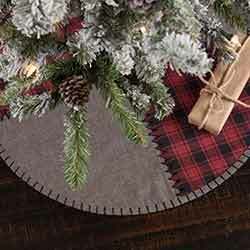 The Andes Tree Skirt features alternating grey chambray and red buffalo checks to give this tree skirt holiday-inspired rustic overtones. 55 inch. 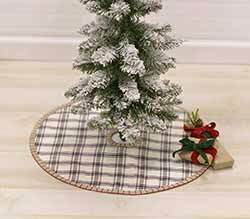 The Andes Tree Skirt features alternating grey chambray and red buffalo checks to give this tree skirt holiday-inspired rustic overtones. 60 inch. 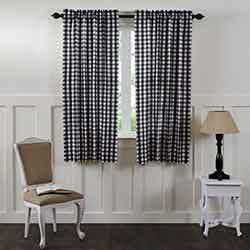 Let in the sun in with the Annie Buffalo Check Black 24 inch Tier Set. 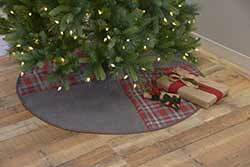 Let in the sun in with the Annie Buffalo Check Grey 24 inch Tier Set. 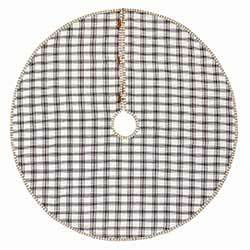 Let in the sun in with the Annie Buffalo Check Black 63 inch Curtain Panels. 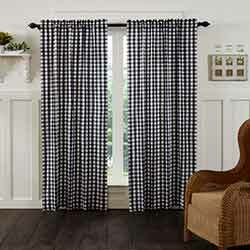 Let in the sun in with the Annie Buffalo Check Black 84 inch Curtain Panels. 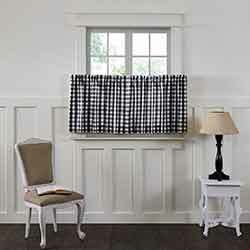 Add a touch of classic, farmhouse style to your window with the Annie Buffalo Black Check Balloon Valance.